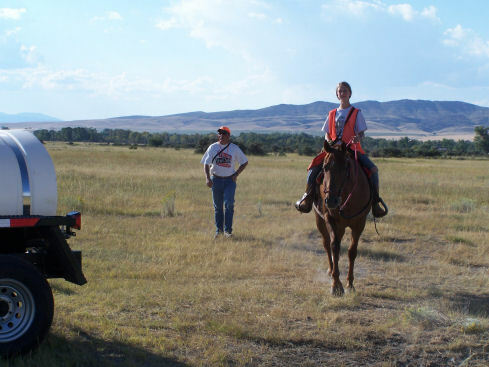 Sari planting birds at the Montana GSPC club field trial, Aug. 2006 on her horse Sheba. Maggie placed 3rd in open derby that day. 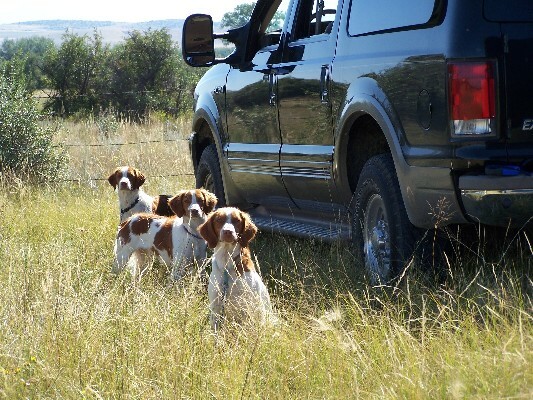 AKC field trials are a great way to ascertain the hunting abilities of a Brittany. They are also a fun "game" to play. Jesse, Maggie and Meadow staked out and ready to go at a field trial, Aug. 2005.